We Stand FIRM: NYT on "Right To Try"
The 1/10/2015 New York Times had a detailed article on a growing grass-roots push for medical freedom, "Patients Seek 'Right to Try' New Drugs". 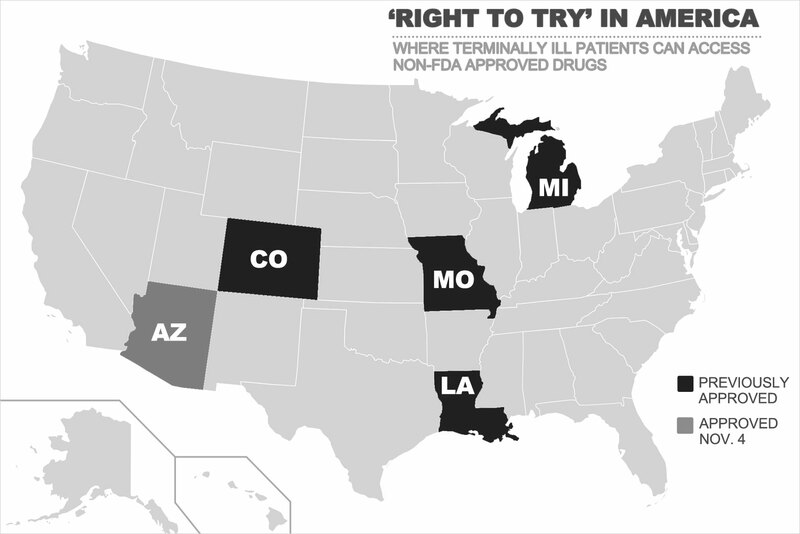 Since May, a string of states have passed laws that give critically ill patients the right to try medications that have not been approved by the Food and Drug Administration. ...The Colorado law, which is similar to ones in other states, permits terminally ill patients who have exhausted their treatment options — including clinical trials — to obtain therapies that have passed at least the first of three F.D.A. investigation phases. The law does not require companies to provide the treatment, nor does it mandate that insurance companies cover it; the law also allows insurance companies to deny coverage to patients while they use drugs under investigation. The article also notes that the FDA has its own program for allowing ill patients to try unapproved drugs. But patients and their families complain that the bureaucratic delays can be too long. One patient advocate said: "We don’t have time to jack around with bureaucratic practices when someone’s life is on the line." I'm glad more patients are fighting for this option. They're not violating anyone else's rights. And this might be their only chance.